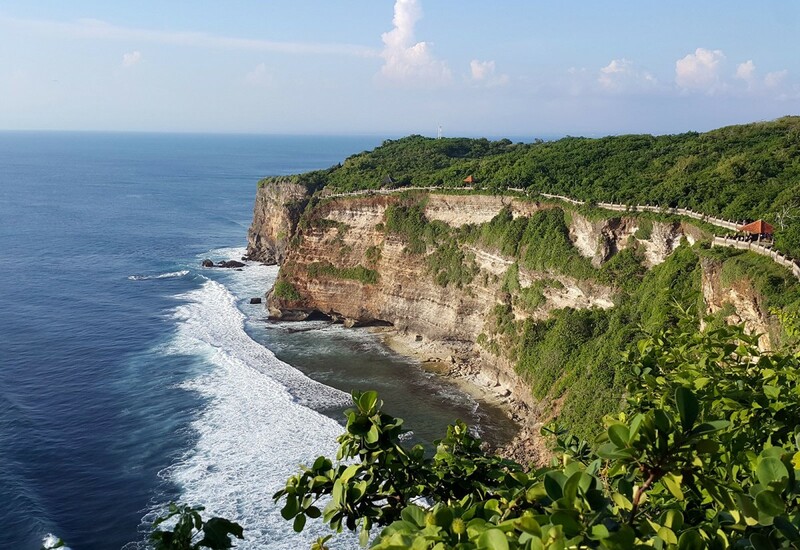 Bali Uluwatu Tour is one of Bali's full day tours with its ultimate destination is the Uluwatu temple which is very popular with sunset views over the cliffs. Uluwatu temple is one of the greatest temples Sad Kahyangan temples located on the southwestern of the Bali Island on the top of a ridge of steep, high rocks and jutting into the sea. 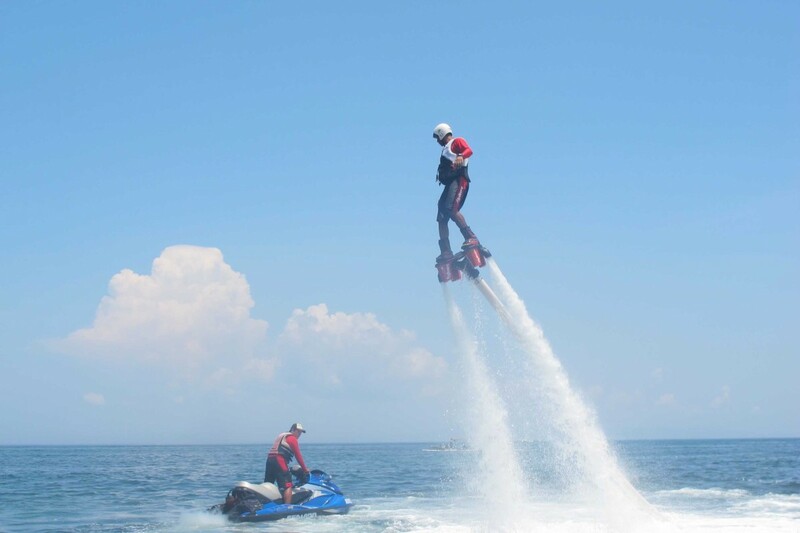 Bali Uluwatu Tour is often combined with the existing water sport on Tanjung Benoa because it has one rote trip. 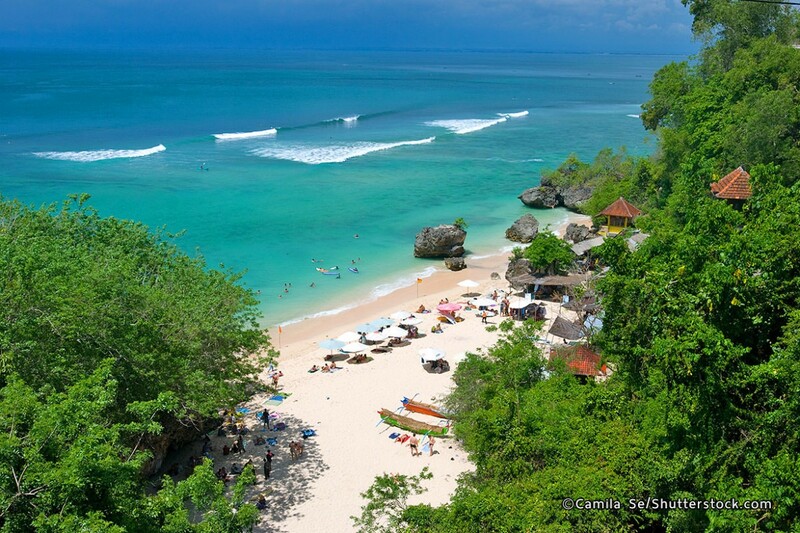 In addition to watersport destinations that can be visited in Uluwatu tour is Pandawa beach or dreamland beach. at the end of your trip to Uluwatu temple before enjoying the delicious seafood culinary at Jimbaran bay you can see Kecak dance which is presented with sunset there. so let's make your Holliday fun and memorable in Bali with Bali sunset tour at Uluwatu Temple. If you are still confused, how to order Bali tour from the hotel in Bali? do not worry we will help you to organize Bali Uluwatu Tour, in our service, the driver will pick up you from lobby hotel at 08.30 am - 08.45 am in Kuta area. 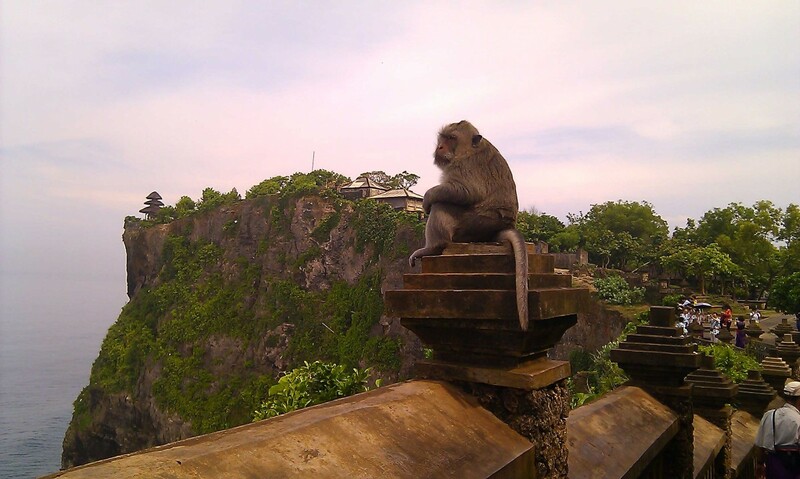 Below details of some destination, you will visit when you follow the Bali Uluwatu Tour. Start the trip from our driver pick up until finished will drop you back to your hotel and he also guiding you during your amazing trip to this island. 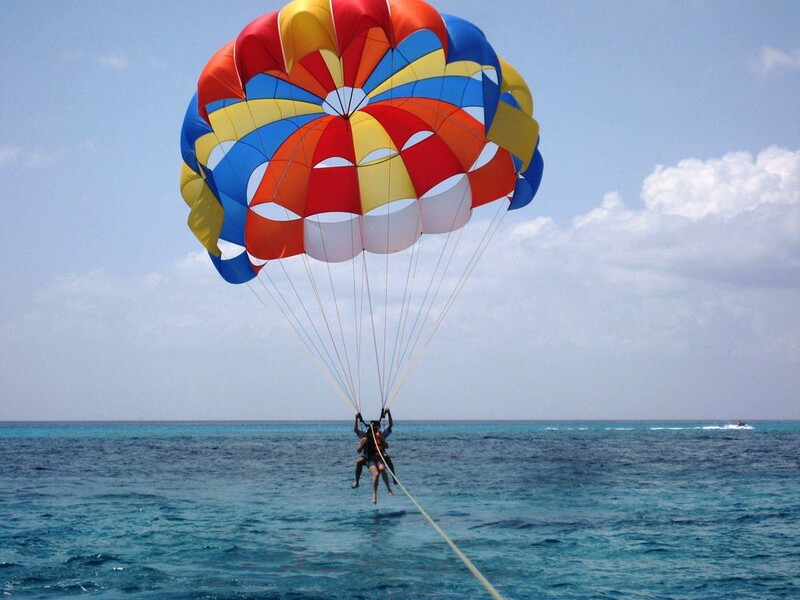 Nusa Dua - Bali Water Sports Center Activities, that provides some popular water adventures designed for tourists coming to Bali. Uluwatu Temple - is one of the greatest temples Sad Kahyangan temples located on the southwestern of the Bali Island on the top of a ridge of steep, high rocks and jutting into the sea at Uluwatu temple you can see Kecak dance and Fire Dance Performance (optional), the Balinese dance be featuring the Ramayana story.